Are you ready for it? 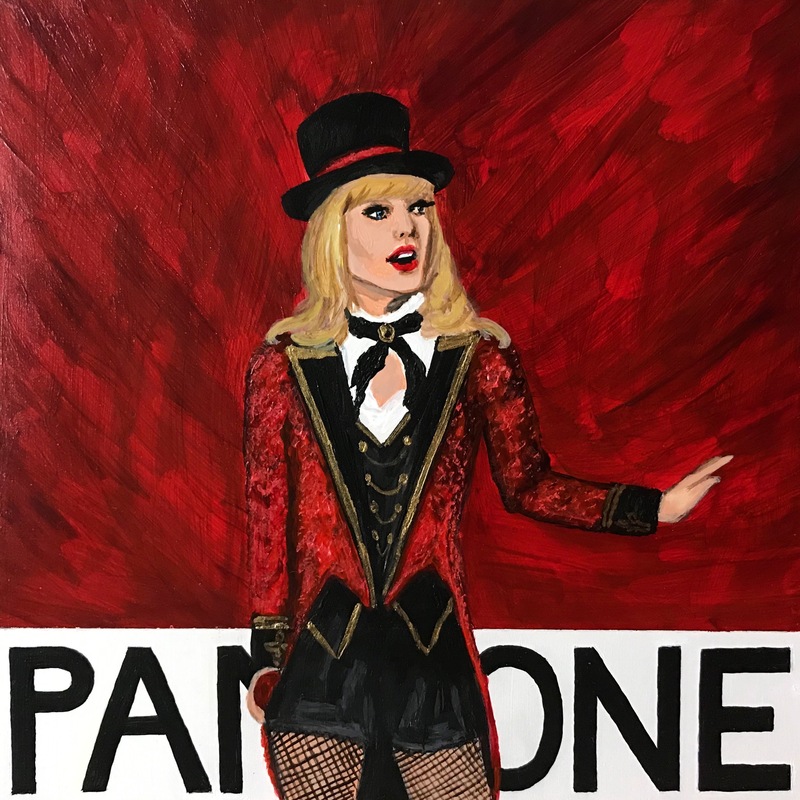 Part of the Pantone Series, Pantone Series and painted in 2019, this painting of T-Swift will never go out of style. Acrylic on masonite; measures 6″ W x 6″ H. These pieces come wired and ready to hang; and are meant to look like larger Pantone-inspired chips when installed.